Happy Tuesday everyone! 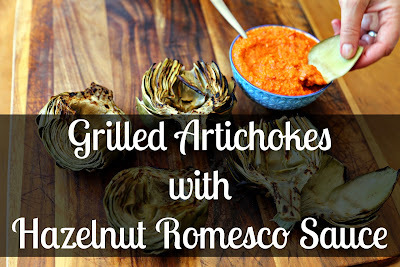 Today the recipe I have chosen for this week is Grilled Artichokes with a Hazelnut Romesco Sauce. The history I learned about the Romesco Sauce is that the fishermen in Spain created it in order to add flavor to their fish. Not entirely sure how much of that is true, but it is an interesting story. So Romesco sauce is a nut and pepper based sauce. 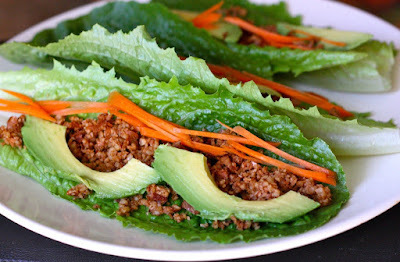 Thankfully this recipe is not only for vegans. It’s also good for celiac disease, heart disease, and diabetes. Down below I will have the recipe and the nutritional information. You can use this for any time. But the sauce does need to rest overnight so some use it for special occasions. My classmate actually used it last Thanksgiving and it was fantastic. If you guys have any special requests for recipes you’d like to see, feel free to comment them! Put the ancho chiles in a small saucepan and cover with cold water. Bring to a boil over high heat, then immediately remove the pan from the heat. Let the chiles steep for 20 minutes. Strain the chiles, reserving some of the soaking liquid to adjust the consistency of the sauce. Put the roasted bell pepper, hazelnuts oil, tomato paste, vinegar, garlic, paprika, and cayenne in a blender. Puree to a smooth consistency (about the same as mayonnaise). Place in a covered container, refrigerate, and allow to rest overnight to develop the best flavor. Pour the water into a large pot and add the bay leaves and 1 lemon half. Season with salt and pepper and bring to a simmer over medium-low heat. Trim the stems of each artichoke and peel them to expose the tender flesh. Remove the outer petals to expose the soft, light green petals towards the center. Slice 1 inch off the top of each artichoke. Add the artichokes to the simmering water. Cover the pot and simmer over medium-low heat until tender (about 20 minutes). Remove artichokes from the water and allow to cool. Quarter each artichoke and remove the hairy part from the center of each. Place the artichoke quarters in a resealable plastic bag. Add the oil, garlic, and the juice from the remaining lemon half. Let marinate in the fridge for at least 30 minutes, or up to 4 hours. 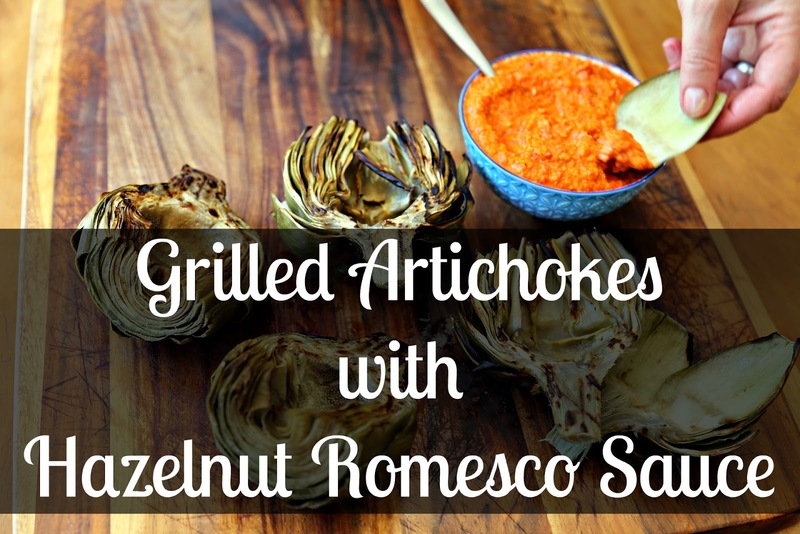 Remove the artichokes from the marinade and the grill, uncovered, over direct heat, turning often, until golden, about 10 minutes. 334 calories, 28 grams fat, 4 grams saturated fat, 0 mg cholesterol, 243 mg sodium, 20 grams total carbohydrates, 9 grams fiber, 6 grams sugar, 6 grams protein. Credits to the book: Cooking for Special Diets by Katherine Polenz.